For babies, children, and teens coping with asthma in Denver, Littleton, Lakewood, Highlands Ranch, and Aurora areas, Integrative Pediatric Health Care provides expert, evidence-based treatments to get patients breathing easier. With a collaboration of asthma and allergy specialists, your child can get relief from coughing, wheezing, and shortness of breath at the conveniently located office in Englewood, CO.
Asthma is a continuing medical condition which affects the lungs and presents with swelling and constriction of the air passages. 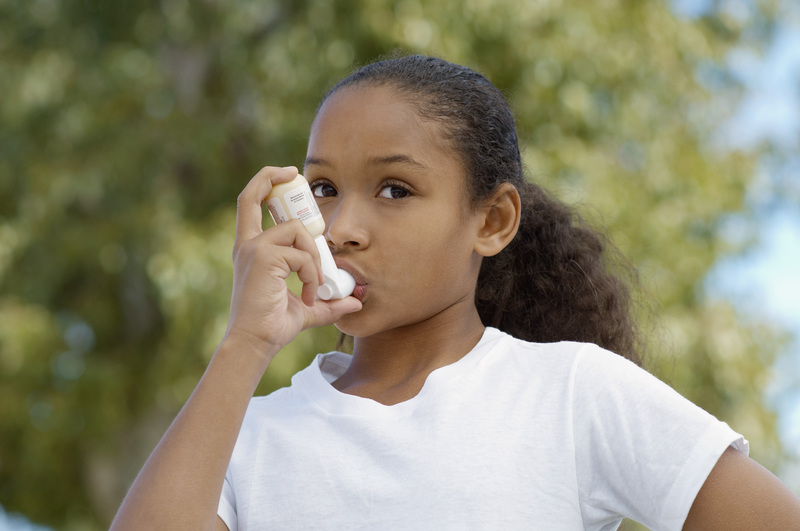 Children with asthma commonly feel chest tightness, will cough or wheeze, and suffer from shortness of breath. In some cases, coughing occurs most during the early morning or late in the evening, with exercise or other triggers like smoke, allergy pollens, or laughing and crying hard. When the airways are inflamed and something is breathed in which aggravates them, the muscles in the airways constrict and swell even more, making breathing very difficult. Cells which line the airways can also start to produce a thick mucus which further narrows the airways and allows less oxygen through. When the reactions build, asthma symptoms develop or worsen and breathing can be severely problematic. When dealing with asthma, it is important to avoid triggers which can make the condition worse and the symptoms difficult to treat effectively. In most instances, two types of medications are used to treat asthma: long-term medications and quick-relief, or rescue, inhalers. The type utilized will depend on the child’s reaction to the medicine. Inhalers are commonly used when treating asthma. Some inhalers are designed for daily use to prevent symptoms while others are designed for the sudden onset of symptoms and those which are especially severe. Most medications used are inhaled corticosteroids which relieve inflammation. Some parents have concerns about inhaled steroids and are interested in alternative treatment plans. The experienced providers at the practice can work with you to discuss the best options for your child, but remember-uncontrolled asthma is dangerous, so make an appointment today.